The Noomakhia series consists of five books written methodically and following an initial plan. This first book, Three Logoi: Apollo, Dionysus, and Cybele, represents the philosophical part which establishes and describes the method that lies at the heart of all of Noomakhia. A number of preliminary remarks should be expressed regarding this first book. First of all, we consider Noomakhia, especially this first book, Three Logoi: Apollo, Dionysus, and Cybele, to be a continuation of another book: In Search of the Dark Logos . We believe that this search has been initiated, but left unfinished, and, who knows, maybe it can never be finished. But it is important that we recognize the persistent need to continue it. As follows, the topics, plots, and trajectories designated in In Search of the Dark Logos will be further developed here in different directions, and perhaps with unexpected consequences. We propose to let the fundamental intuition which lies at the heart of this book unfold of its own will and freely, and we take upon ourselves the conscious risk of such leading to horizons and topoi which justifiably evoke fear and even horror. In this sense is conceived this open exposition, which reflects the landscapes grasped by the intellect over the course of active and free contemplation. We are moving forward in the “search for the dark logos.” And this is the goal. Secondly, we are presented with the vitally important question of retrieving Plato, Platonism, and Neoplatonism. We see in Plato not only a philosopher or founder of an individual school, i.e., a phenomenon to be considered alongside other philosophers and other schools, but we are convinced that Plato represents the focus of philosophy as such. He yields the very paradigm of philosophy which all other philosophers are left with comprehending or interpreting. But in order to fully recognize this approach, it is necessary to consciously embrace the standpoint of Platonism or some other philosophico-religious doctrine based on the ontology of eternity. The philosophy of New Time (modernity) dismantled eternity as a “dubious hypothesis”, as a “myth”, as a remnant of the “not-yet-scientific”, as an “archaic” style of thinking. It was replaced with the ontology of time – history, process, development, evolution, etc. In this case, Plato and Platonism came to be associated with a temporal point or moment, and all of Platonism’s theses were interpreted on the basis of the knowledge attained later over the course of the further shaping of philosophy. Therein, with the onset of New Time, Plato is treated like the discourse of children or teenagers – albeit genius, but limited. But everything is completely different if we treat Plato like his contemporaries or he himself did. If he spoke of eternity, god, and ideas, then we should live through and experience these ourselves – as eternity, gods, and ideas – without the smallest tint of conditionality or comedy. Is this possible? We will learn if this is possible only once we try to perceive Plato and Platonism directly, and if we become Platonists in the fullest sense of the word. Whether we will succeed in importing the dimension of eternity into the epochs of Modernity and Post-Modernity, which are explicitly and implicitly founded on the rejection of such, is an open question. In order to undertake such an attempt, it is necessary to accomplish a fundamental revolution in consciousness – a Platonist revolution. 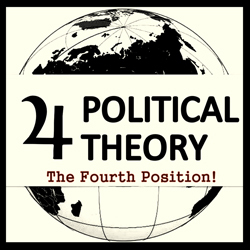 We can only approach Platonism, even purely theoretically, if we perceive such as absolute truth demanding our adaptation to it, and not its adaptation to our understanding. This is what we began in In Search of the Dark Logos, in the section “Open Platonism”, and we will continue this in the present work. Thirdly, studying Platonism (by means of deep philosophical empathy, plunging into Platonism itself, and assimilating its elements) implores us to describe the structures of the light logos, the intellectual worlds of Apollo. This is necessary in order to more clearly understand the structures of the “dark logos” and their differences with those of the light logos. Along with this, as shown in our book In Search of the Dark Logos, we will encounter a number of philosophical plots, topics, and methods which allow us to advance the hypothesis that there exists an even more hidden “black logos”, the Logos of the Great Mother (Cybele), or “black philosophy.” The dark logos of Dionysus thus contrasts not only with the light logos of Apollo, but also with the black logos of Cybele. Thus, our goal is to further study into this black logos, this “third logos” which least of all resembles a logos itself, but rather “matter”, “space”, “autonomous corporeality”, the “insurgent void”, or even “madness.” Here we arrive at a very disturbing zone of ontology and gnosiology which, nonetheless, is up for decisive mastery and conceptualization within the framework of our overall philosophical program. This is the question of Dionysus and Cybele, their correspondences, differences, contrasts, and relation. In the following four books of Noomakhia (The Logos of Europe: Mediterranean Civilization in Time and Space, Border Civilizations, On the Other Side of the West: Part I – The Indo-European Civilizations of Iran and India, and On the Other Side of the West: Part II – China, Japan, Africa, and Oceania) we will switch our study’s focus and transition to the subject of the horizontal multiplicity of logoi (whereas in this first part we focus on studying the vertical multiplicity). Over the course of our study, the following tasks will be accomplished. We must decipher the correlation between the existential category of Dasein (Heidegger) and the multiplicity of cultures and their logoi. This requires constructing an existential structure for each concrete Dasein, clarifying the identity of each society we examine and the correspondence between this deep identity and the layers presented by each civilization’s logos – their ontological, or even better (if there is such), “fundamental-ontological” levels . We will illustrate several examples of how existential structures are shaped into cultural complexes of philosophy, myths, metaphysics, rites, etc. in the context of large spaces with developed or, on the contrary, implicit self-reflection (on the basis of the large-scale reconstructions of ancient cultures in the works of Leo Frobenius, Oswald Spengler, George Dumézil, Mircea Eliade, Károly Kerényi, René Guénon, Julius Evola, and other theoreticians of the civilizational approach which offer broad generalizing models), or in the context of more narrow (spatial and historical) borders . The aim is to demonstrate how the concrete historical logoi of this or that culture are built on the foundations of different existential structures and reflect distinguishing, original combinations of the elements of the three vertical logoi. At the same time, we will not restrict our aims to necessarily reducing the logoi of different civilizations to our earlier proposed triadic system of Apollo, Dionysus, and Cybele. We are ready to, upon meeting different cultures, religions, and peoples, encounter the most unexpected combinations and variations which might confirm or deny our initial model of three logoi, correct it, or even, perhaps, refute it. We would least of all want to project a dry, deductive model onto the living and dynamic wealth of diverse cultures. We are ready to reconsider our method if it turns out inapplicable in this or that situation. And in such a case, we agree to restricting the reconstruction of this or that society, ethnos, or collective’s civilizational (horizontal) logos and presenting such as is (tel quel) without distorting our starting points. In this consists the openness of Noomakhia as a project. Setting off with our triadic approach based in Platonism (albeit freely interpreted and substantially re-conceptualized, especially with regards the problem of χώρα, “matter” and the feminine element in metaphysics, ontology and cosmology), we will attempt to construct a noological model for all the civilizations we examine. If this is successful, we will consolidate our original position; if this method requires revision and refinement, then we are ready to carry out such; if it turns out to be altogether inapplicable, then we are even ready to desist and proceed to search for a new one based in contemplating the nature and structure of the difficulties and obstacles which we might encounter. The title of Noomakhia, which literally means “war of the mind” (Noomachy)  – and which can also be conceived of as “war within the mind”, “war of minds”, or even “war against the mind” – is intended to emphasize the conflictual nature of logoi structures as well as the multiplicity of noetic fields in each of which surprises, conflicts, aporias, struggles, contradictions, and opposition lie in wait for us. The field of thinking is the field of warfare : thoughts wage ceaseless wars not only against phenomenality, matter, and their own reorganization into elements (whether existing or not is an open question), natural law, dispersion, non-structurality escaping the “control” of multiplicity, etc., but also against other types of thoughts, other thoughts, and the complex diversity of vertical and horizontal, noetic and noeric chains which permeate the reality of the world on different planes and different geometries. Wars between people, including even the most cruel and bloody, are but pale comparisons to the wars of the gods, titans, giants, elements, demons, and angels. And these, in turn, are but figures illustrating even more formidable and profound wars unfolding in the Mind, in the sphere of the Nous and its limits in which the Mind itself borders the zone of Madness. Thus, everything is Noomachy, even that which is bigger and came first of all – ϋπερπαντα. War, according to Heraclitus, is the father of all (πολεμος πατηρ παντων). Indeed, it is about this, the “father of all”, that Noomakhia is written. 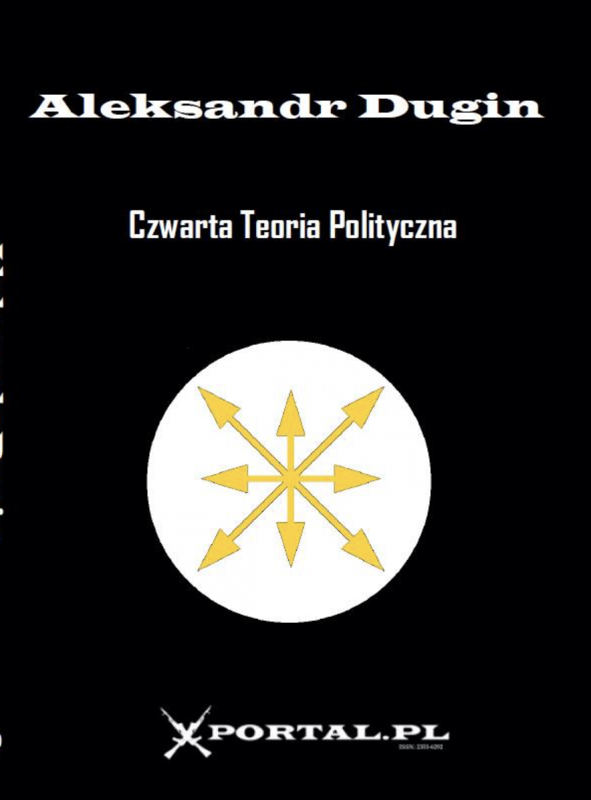 Dugin, A.G. V poiskakh temnogo Logosa. Moscow: Akademicheskii Proekt, 2013. The meaning of the Heideggerian term “fundamental-ontology” and its differences with the classical ontologies of Western European philosophy are described in our first book on Heidegger. See Dugin, Martin Heidegger: Filosofia Drugovo Nachala (Moscow: Akademicheskii Proekt, 2010), translated into English as Martin Heidegger: The Philosophy of Another Beginning (Arlington: Radix/Washington Summit, 2014). Particularly applied to Russian culture, we already began such work in our second book on Heidegger, Martin Heidegger: Vozmozhnost’ russkoi filosofii (Moscow: Akademicheskii Proekt, 2011). This will be continued here in the third book, Border Civilizations, which is partly devoted to the Russian logos and particularly the sophiology and culture of the Silver Age. From the Greek words νοῦς (mind, spirit, intellect, cognition, thinking) and μαχία (war, battle, fight, struggle). The French poet Arthur Rimbaud justifiably wrote about this in his work Une Saison en Enfer (“A Season in Hell”): Le combat spirituel est aussi brutal que la bataille d’hommes [“Spiritual combat is just as brutal as the battle of men”]. Introduction to Noomakhia: Voiny uma – Tri Logosa: Apollon, Dionis, Kibela [Noomakhia: Wars of the Mind – Three Logoi: Apollo, Dionysus, and Cybele] (Moscow: Akademicheskii Proekt, 2014).